After a couple months of research and facility visits, we found what we thought would be the best memory care home for our mother. The move was difficult for everyone concerned and then we learned that our mother’s long term care insurance would not pay for that facility. I asked my attorney for a referral to someone who deals with insurance issues, which he gave me. This attorney, after hearing our story, said Elizabeth Wrobel was the person for this problem. I’m very happy we took his advice. Elizabeth explained the situation and how we might deal with it. She approached the problem in multiple ways, keeping us informed of the results as she went. Working very efficiently with our time and money, Elizabeth resolved the problem and the insurance company is now paying their full share of our mother’s care. The savings to us will exceed $100,000. We are so thankful for Elizabeth’s expertise and highly recommend her to anyone in a similar situation as ours. I hired Elizabeth when insurance denied my need for help for my anorexia and depression. 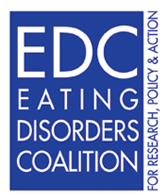 I was unable to fight the eating disorder and the insurance company at the same time. When Elizabeth took over the case she told me to only focus on recovery, she would take care of the legal issues. I trusted her and followed her advice. Though I left treatment May 17, 2016, the case did not come to court until August 28, 2017. In other words, it was a long battle, but one which Elizabeth never stopped fighting for me. Everyone who is recovering from a life threatening illness needs an advocate and Elizabeth was mine. I highly recommend her to anyone who is trying to fight for their very survival and fend off insurance. Though I do not wish this fate on anyone, if you find yourself in this position, Elizabeth is your woman. I highly recommend Elizabeth Wrobel for anyone that needs help disputing insurance denials. When a parent or loved one is trying to do whatever they can to save their child’s life, they shouldn’t have to worry about insurance denying claims that doctors and psychiatrists deem a necessity. My child’s recovery would not have been possible without adequate treatment and Elizabeth fought to get insurance to recognize that need. She was empathetic, kind, and extremely knowledgable about how the whole process worked. She kept me informed throughout the process and walked me through every step of the way. Our appeals from my child’s doctors were denied and the re-appeal was also denied. We had one last chance to appeal ourselves and we worked with Elizabeth to gather all the necessary information. She presented our case to our insurance and her attention to detail and expertise with these kinds of claims were our saving grace. The denials were overturned and insurance agreed to pay for the services. We are eternally grateful for her help and would definitely give the highest recommendation possible. I highly recommend Elizabeth Wrobel. She helped us fight unfair insurance payment tactics when our daughter was very ill and in treatment. Elizabeth was tenacious, organized and had compassion for our situation. She knew the proper legal steps, easily met deadlines, and most importantly, helped us reach a successful conclusion! In August of 2013 I had an accident that herniated all of the discs in my cervical spine. After receiving treatment from my neurosurgeon it was clear by December that I would need two of the discs replaced. When it came time to schedule the surgery I found out that our insurance company would not pay for the surgery even though my doctor recommended it. As if needing two discs replaced in my neck, the constant pain and not being able to work was not bad enough, paying for it out of pocket just added to the stress and hardship of my family. With surgical costs of more 50,000 thousand dollars, my family and I began losing faith of any real relief for the pain and a favorable outcome to my future. Because of Elizabeth Wrobel and her compassion for my circumstance, she took our case and went above and beyond to seek fair settlement. She took command of our case with the insurance company and the hospital-scheduling department, alleviating hours of phone calls and stress. It was apparent her drive and attention to detail lead to a quick reversal of the medical claim which was paid in full. My family and I are forever grateful for her commitment to her profession to which she is a GREAT credit! I now have my life back pain free. We would highly recommend Elizabeth to anyone experiencing problems with their long-term care insurance company refusing to pay for benefits. Elizabeth was thorough in her research of our situation — she was very familiar with the levels of care provided, various types of facilities and the state laws and requirements of long term care insurance companies. Elizabeth took the time to get to know the unique needs of our family and to explain the process that would help us obtain the appropriate reimbursement from my parents’ long-term care insurance company. Elizabeth had the foresight and experience to know what insurance companies and the State of Minnesota would require regarding patient information and facility / medical documentation. Elizabeth’s work convinced the long-term care insurance company that our claim was appropriate and we were given the full financial benefits my parents deserved. Working with Elizabeth was easily one of the smartest decisions I have ever made in my life. She helped get me into residential treatment when I needed it most, and therefore played a huge part in saving my life. She is a pleasure to work with. I had complete confidence in her ability to be a strong advocate for me. I highly recommend her to everyone I can! Mark represented me in a Motor Vehicle accident case. He was very attentive to the details of my case, and clearly knew the insurance industry well. He negotiated a settlement for me that was beyond what either of us expected. I was very pleased with the level of care and service he gave my case and would highly recommend him to others needing legal services. Recently, it became necessary for my mother to move into assisted living and for my father, who has Alzheimer’s disease, to move into a nursing home. For months I completed claim forms, sent medical records and provided explanations to their long term care insurer. Despite all my efforts, their long term care insurance company continuously denied payment. 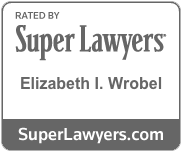 I retained Elizabeth Wrobel of Wrobel & Smith, PLLP. She worked with my parents’ caregivers and doctors, carefully documenting my parents’ medical status and sent a detailed letter to their insurance company. Within 60 days of receiving her letter, the long term care insurance carrier paid the claim. 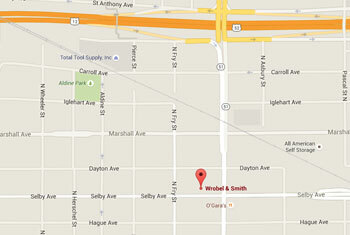 I recommend Wrobel & Smith to anyone who has an insurance claims processing issue. A friend referred me to Mark Smith after I was struck by an automobile. I had never had a lawyer before and was looking for someone whom I could feel comfortable with, would communicate with me in a timely manner while being my advocate. Mark impressed me immediately with his honesty and sincerity and would give him the highest of recommendations. I would absolutely recommend working with Elizabeth Wrobel. Elizabeth was not only knowledgeable and thoughtful, but she also took the time to explain to me the process in terms I understood which put me at ease as we worked together. I was impressed with her creativity and determination in approaching my case, she was able to come at it from another direction which I believe made all the difference in us winning the case. Through winning the case, I had the time and confidence to complete my treatment, setting me up for lasting recovery. Elizabeth was instrumental in helping us through a challenging time. After our daughter was denied medical insurance coverage for a life threatening illness, we didn’t know which end was up. We were dealing with doctors, medical bills, the bureaucracy of the insurance company and the overwhelming emotions involved in our daughter’s day-to-day care. On top of all of that, after the final coverage denial, we were left with no other option than but to bring suit against my employer. Elizabeth led us through the process and made it easy. We felt it was a team approach; she identified the options, gave us her recommendations and supported our decisions. She was quick to respond and compassionate. Elizabeth answered our many, many questions no matter how trivial. She was the calm in the storm, allowing us to stay focused on our daughter’s care while she managed our insurance nightmare. Elizabeth’s efforts resulted in a successful claims resolution – meanwhile our daughter received the necessary medical care allowing her to recover from her illness and recently graduating from college.